Carlsbad and Northern San Diego County, California, is one of the most beautiful places in the U.S. if not the world. It is also home to many vibrant, tightknit communities. Aviara Animal Health Center knows this because we, the doctors and staff, are very happy to call this area home. We also know that our home depends on its citizens and businesses to act in the common good, to understand that our individual success is linked to the success of our communities. For this reason, we enjoy doing what we can to support local events and organizations and are proud of our investments of time and money in helping companion animals in need of a home and medical care. For example, Aviara Animal Health Center provides free shelter exams for new adoptions through any of the San Diego County animal shelters. We are also involved with rescue organizations for spay and neuter procedures. Being a member in good standing of the local business community is also important to us. 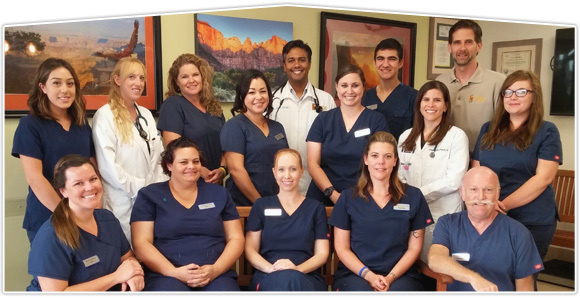 This is why our practice and practice owner, Dr. Ben Singh, are active members of the Carlsbad Chamber of Commerce. In all, we are proud of our contributions in time and money to these very important organizations and of the efforts we make to promote compassionate pet ownership and support animal well-being. It's nice to know that we are adding to the efforts of many others to make where we live a better place.